For social events of all kinds, the Royalton New York offers four unique venues within the lobby level, which may be reserved for private events. 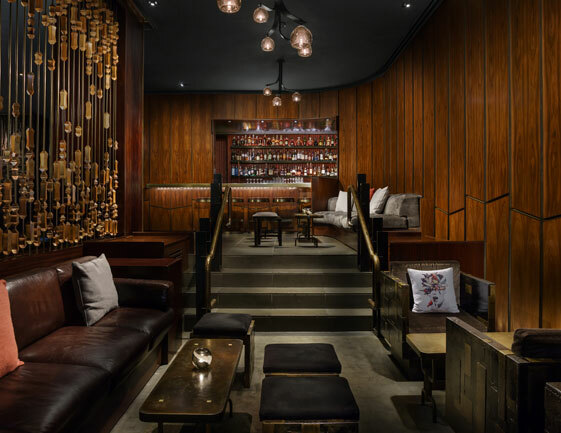 Located in the front of the grand Royalton lobby, this intimate space offers comfortable seating and direct access to a stand-alone full-service bar. This space is perfect for groups of up to 40. With its vibrant social scene and 20-foot fireplace, the Royalton's Forty Four Bar & Lounge is available for groups of up to 300. From a formal cocktail party to simple after-work gathering, this modern lobby space is an ideal choice to book an event to remember.